Description: Stork Turns are primarily a stability and mobility exercise that targets the hips and legs. This exercise provides a great avenue for you to work on good separation between your lower and upper body which in turn increases coil and power. 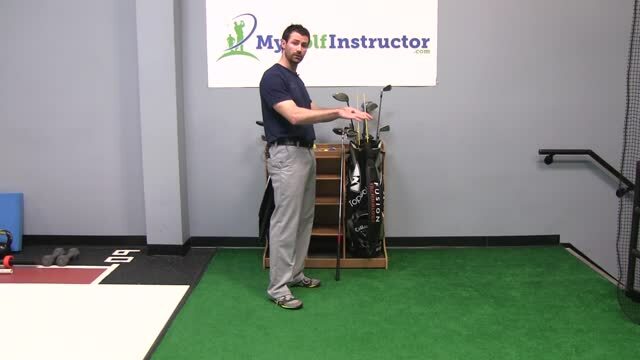 It also has the added benefit of helping you improve balance in your golf swing. Start by standing on one leg. You can support yourself by wresting a golf club on the ground in front of you and placing both hands on top. If that is not available you can always place a hand on a chair. Next, lift one leg and hook your foot behind your other knee. Stand tall and try to keep your upper body as still as possible. Using your bent knee, rotate it across your other supporting leg and back out again. Notice how you are simply rotating your lower body, but your upper body can remain still. Start by doing 3 sets of 8-10 repetitions on each side. When you get comfortable try increasing the reps as weeks progress.